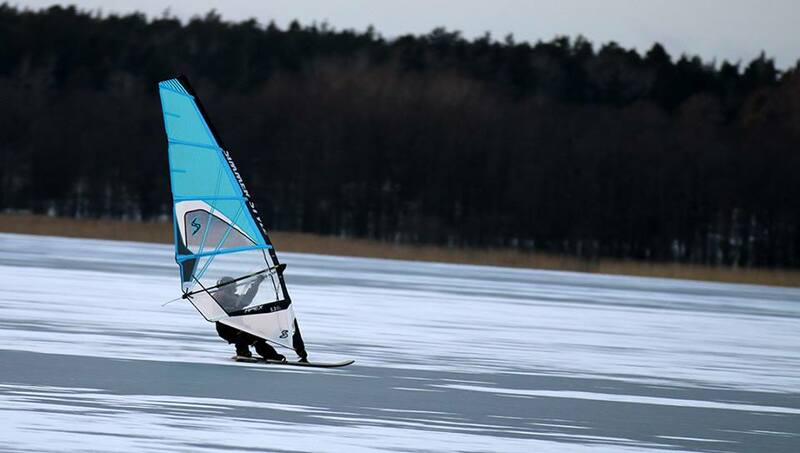 Welcome to the 6th annual International Windsurfing Iceboard Challenge King of the ICE 2019, hosted by Team Sweden! The winner of King of the ICE 2018 was Adam Mróz from Poland scoring first place in 3 out of four disciplines. Very very impressive! Henrik Mård from Sweden scored 2nd place with a win in the 10x5sec discipline with an average speed of 51.75 knots! The iceboard nestor Jeff Brown from the US scored 3rd place just 0.3 points after Henrik. Team Sweden will continue the tradition for the third year in the row. Our aim for this year is to attract even more riders from all over the world. * 100 m average speed – Absolute TOP speed challenge NEW! Data shall be acquired by using ANY capable GPS unit, which then allows competitor to upload data. Read more about how to report your results to the King of the ICE 2019. FOUR discipline participation with ONE discipline THROWOUT allowed! The BEST of 3 discipline scores will be calculated on a low point scoring system. Winner of each discipline will get 0,7p second place 2p, third place 3p etc. If you have no result in one discipline your points will be calculated as last place +1. Obvious fault or incorrect figures will be changed, removed or not calculated. Overall Ties shall be scored based on competitors NEXT BEST finishes within their 3 best disciplines. The WINNER of King of the ICE 2019 will be the competitor with the LOWEST TOTAL POINTS. You do not need to register to join the challenge, your activity on GPS Icesailing will automatically be used. You are required to specify your class of icesailing device in your GPS Icesailing profile for sessions to be identified through use of data filters on the website. Select: “Ice-Snow Sleds-Windsurfer” for your equipment. Help support GPS Ice sailing and become a GOLD MEMBER!